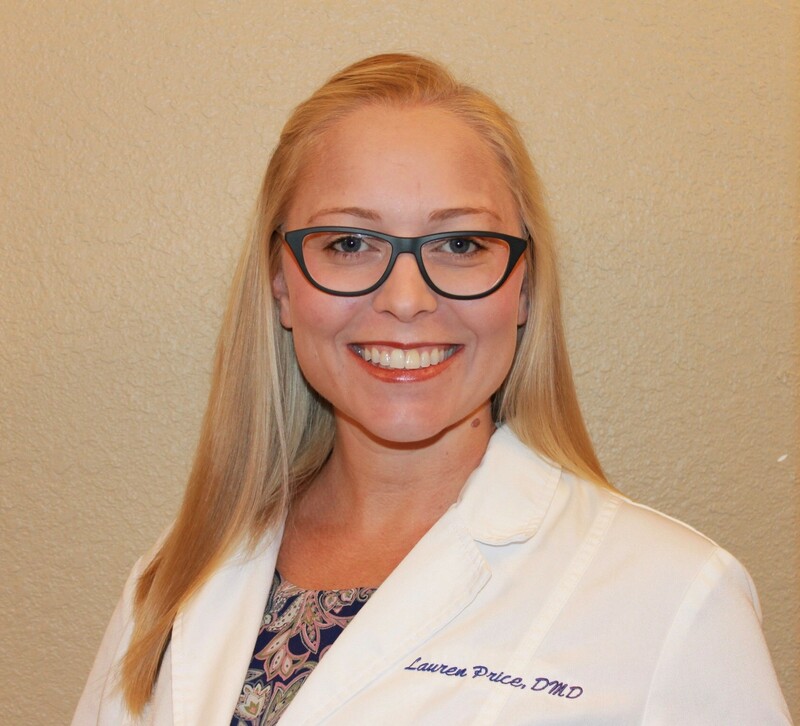 Dr. Price attended dental school at the University of Florida College of Dentistry where she received her Doctor of Medicine in Dentistry in 2010. During dental school, she traveled to the Dominican Republic on two dental mission trips where she provided care to the indigent population with no access to medical care. After graduation, she attended a General Practice Residency Program in Asheville, North Carolina. Following completion of that program, she worked for two years in rural Vermont spending most of her clinical hours on the Ronald McDonald Care Mobile treating children. When she decided to start a family, she and her husband moved back to Florida where she has been practicing general dentistry. When she is not practicing dentistry, she loves to read, go to the beach and travel with her family. They love visiting friends in North Carolina, Vermont and California. Her family includes her wonderful husband, Daren, two amazing little boys, Luke and Travis, and their two pugs. If Dr. Price wasn’t a dentist she would have become a book editor. She has always enjoyed reading and has an eye for detail. Dr. Price obtained her bachelor’s degree from the University of Florida, majoring in Biology and Spanish. She earned her Doctor of Medicine in Dentistry degree from the University of Florida College of Dentistry. She went on to train as a General Practice Resident in Asheville, North Carolina. Since graduation she has completed hands-on continuing education courses focusing on Pediatric dentistry. She is a member of the American Dental Association and Florida Dental Association.